This is a spin-off from another thread that I want to try and see what happens. My idea is a thread where we share good news to hopefully make our lives a little brighter. It can be personal good news, something you hear from a friend or family member, or something you see on-line or in a newscast. It doesn't matter as long as it's positive. I'll start with I have my family visiting me from Colorado. My daughter, son-in-law, and 2 grandsons are all here and my sister (who has a birthday today) as well. We went to a Spring Training game yesterday and today we're going out tonight to celebrate my sister's birthday. Tomorrow is one of my grandson's birthday and we'll have a cake to celebrate that too. My mom and dad are visiting me in May. I haven't seen them in two years. (Only on Skype) I am excited! Sassy, great idea for a thread. Your post was heartwarming! Jxxxxx just walked up to me and said, "Dad, I've been thinking about something. I've been thinking about you. Best friends. I love you sooooooo much!" This....from a little girl just over two years old!!! Ahhhh, my heart just melted in gratitude!! My next door neighbors of 30+ years returned from a month long stay helping an elderly parent in Maine. 90+ year old "dad" is now doing well and neighbor has a new skill (inserting IV needles). Their return provided a ray of sunshine on a "spring" day filled with sleet and freezing rain. Edited 2 time(s). Last edit at 03/22/2018 01:04AM by Irene_L.A..
My daughter had her B-day Tuesday (19th), and thanks to Facebook, I was involved along with her many many friends (two from high school) that I practally raised. wishing her a happy b-day, and able to see her pic's from her trip speaking to the New York Times on "Emotional Intelligence", (second visit) and pic's from the Metropoliton Museum and her exciting life in general....she is so busy, we get to see one another once or twice a year, happy for skype. Give thanks for my health, eyes getting better, and that I am able to care for, work and do for myself.....have wishes for this country, and happy my cousin Dianne Feinstein will remain in the senate another term, fighting the new administration. and the NRA...she is 82, my wish is for a safe country for all. I just googled your cousin. Oh my, how proud you must be!! Having a daughter and a cousin so accomplished in their careers. We NEED people like them!! SINCE I WAS TOLD ON THIS THREAD I SHOULDN'T HAVE MENTIONED MY COUSIN, I WILL NO LONGER SHARE WHAT TO ME ARE PERSONAL GOOD TIMES, SEEMS FAMILY DOESN'T COUNT TO SOME. Edited 1 time(s). Last edit at 03/22/2018 01:09AM by Irene_L.A..
how wonderful Irene~! what a talented and interesting family. I am familiar with the subject of Emotional Intelligence, it's so important yet underrated IMO. I've had a bit of good news too after a long dreary winter. I won a small, but decent sized, settlement that I have been fighting for. My daughter and baby granddaughter are coming for a spring break/Easter visit, will be with me for a few days of fun and entertainment and just family time. I checked my body fat and it is currently around 13.5%, down a couple percentages from a couple months ago. Able to do 5-6 45lb weighted deadhang pull-ups now. My goal is to get 8. I know you guys have been waiting for an update but I completely forgot, sorry for keeping you guys waiting. That is fantastic - I adore Dianne Feinstein. Two thumbs ups on her re-election. Edited 1 time(s). Last edit at 03/22/2018 03:08PM by Irene_L.A.. I am so not DavePi. But I am already approaching yet another smaller pants size. Go me. I don't believe the second amendment meant shooting innocent people and children to death...just saying. Irene, you claim that you are many decades old. You will not be surprised at this response. Keep in mind that without access to guns, those perps would have used some other available means of harming or killing. The issue is not guns. Guns do nothing except exist and, when cared for properly, last a long time. The issue is within the intentions of perps.. Why are those people killing and harming? What is in their hearts/their heads? Keeping guns away will not change the intention to harm and kill. They will find other weapons because they will want to satisfy whatever is in their hearts/their heads that compels them to hurt and maim and kill. And then what? Anything is fair game for weaponry. Will future Congresses contemplate how to keep all potential weapons, even ordinary and typically benign items, away from us because a few people might use them as is or in combination for the purpose of harming and maiming and killing? Or, will the NRA prevail and will we have the right be bear arms as per the second amendment while tptb address the intentions of a few people to harm and maim and kill? Well, this good news thread got diverted to politics pretty quickly. Bad move Irene, mentioning your cousin and her negative position concerning the President and the NRA. The best you will get is a 50/50 response. Absolutely not. Those who misuse firearms should be prosecuted; just as those who misuse motor vehicles, poison, knives, bicycles, and drugs. The good news: Children are the responsibility; grandchildren are the reward. Recently welcomed another into the family. A crown to the aged. Nothing compares to it. Someone needs to learn the history of the Constitution. My forehead is so red from facepalming today. I REMOVED ALL POSTS CONCERNING MY FAMILY AND WHAT I THINK IS GOOD NEWS, THANKS TO YOU. I so wanted this to be a happy thread. I have no problem with positive posts about family even if I disagree with the politics of (I don't in this case but that's another topic). Can we please get back to posting good news we hear or experience? I realize I have no control on what is said here. But just for a change, I'd like to keep things positive. Otherwise, what's the use of having the thread at all? I am sad to see the negative responses to Irene mentioning her cousin again. I believe the oldest Senator right now, she wasted no time getting back to the hearings, was it one year ago last May?? Senate Judiciary?? after a cardiac procedure, routine stent I think but I may be confusing her cardiac with Bader Ginsburg's cardiac. Whether you agree or disagree with her politics, that is one determined woman, you gotta admire her strength and resiliency and stamina and may she serve in continued good health if the voters of CA choose to re-elect her. She has served her constituents well across many government units. Please show some respect and share in her joy. Sorry, I am a C-SPAN junkie. What happened to that well-regulated militia part??? I thought those were the words, In order to maintain a well-regulated militia??? Is that how it begins?? How do you maintain that well-regulated militia?? It is a matter of proportion. The semi-automatics do exponentially more lethal damage in a compressed period of time compared to...a Mossberg bolt action, or a British Infield. The latter packs quite a punch with the kickback. I think I heard that the bullet in an AR-15 travels at 2,142 mph. Hard to take cover from or outrun that. You can't. Would you ever even know what hit you? It is a weapon of war for slaughter...of people. My middle son says the thing he likes best about me is my stories. I tell all kinds of stories about family history, silly memories from their childhood that only I saw or they were too young to remember. I tell stories to help the kids remember the people they knew but were too young to know they I wish they could have known them. I am glad he likes my stories. Liked by: Lstockwell, Mum, Irene_L.A. My daughter had her Public Defense of her Dissertation yesterday. She is now officially a PhD. We've got a doctor in the family! Irene, I think you missed the point. You hi-jacked the thread by introducing a political viewpoint. It doesn't matter what the viewpoint is and whether i agree or disagree. As a matter of fact, I didn't state my view. If you want to get into a hissy-fit, delete posts and vow to never again post about family subject matters, that is your prerogative. 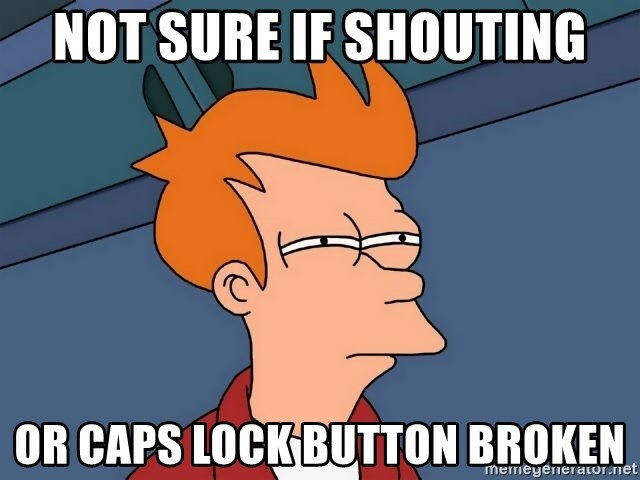 By the way, do you think shouting in caps makes your position stronger? Edited 1 time(s). Last edit at 03/22/2018 05:46PM by DavePi. After your telling me what I should or shouldn't post (are you a mod) capitols made me feel better....for the record, we all know most posts get hijacked one way or another, not the first time, won't be the last.. you actually hijacked the thread.. We are allowed to talk about politics, come onto the forum more often and you will know the rules. For the OP, it was not my intent to "hickjack" using LIJake's word, but to add (for me) a positive, and I did get several likes from those I respect. LIJake I didn't notice ANY contribution from you. Edited 2 time(s). Last edit at 03/22/2018 06:31PM by Irene_L.A.. Remember the Senator's history and how she rose to national prominence. I never saw the movie Milk, but I remember when it happened. I did not infer that Irene was being purely political by any means. The fight is part of who the Senator is. Irene is proud of her cousin and at least some of what she has stood for and fought for. You should never assume she agrees with everything. It just so happens that it does involve a polarizing subject. In the news lots. Remember some of the recent west wing pics with the seating arrangement. Faux dialogue or not, it was a dialogue. Resist the impulse for the reflexive reaction and retreating into tribal corners. Put the pause button on for a moment and if that is something that Irene wishes to celebrate, then let it be celebrated. And didn't Reagan sign a gun control bill in CA after the Black Panthers posed for pics on the Sacramento Capitol steps back in 1968ish?? What was wrong with gun control then? I need to thank you for your intelligent reply to what was (to me) a total put down. I lived in San Francisco when Dianne was mayor, the family rejoiced when she got accepted to Stanford...she spoke at my Brother-in-laws funeral...beside politics she has always given and served the community. This is just too personal for me. I know we're on a public forum,so, I am looking for somewhere I can freely use my voice, probably with those on my page...but again CABZmom (LOVE THE CAPS), thanks for your understanding...definitely not fun being pushed against a wall over nothing...has made me think twice about public forums and sharing in good faith. You high jacked the thread with your comments instead of contributing something positive of your own,why turn my post into something it wasn't. Different opinions count. Edited 1 time(s). Last edit at 03/22/2018 10:08PM by Irene_L.A..
Irene, I never thought you hijacked the thread. I thought later posters did by turning it into a political discussion. As I said originally, if it's positive, that's what I want. I felt your post about your cousin fit my original intention for this thread. Now that we got past that, any Texas shopper or Canadian cousin of Ted Cruz have anything special to share? I promise I'll be nice. Ted Cruz is a demon in disguise.